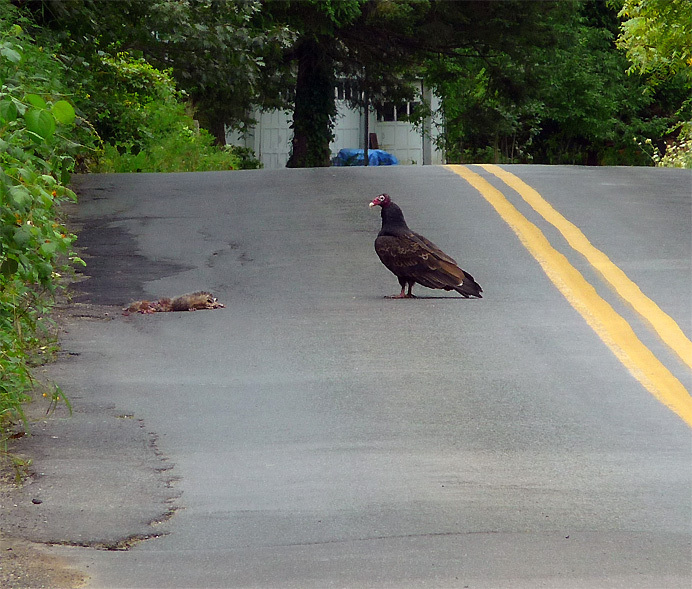 Eating a mustard-and-cheese sandwich as I rounded a corner on King Street today, I spied this vulture contemplating his lunch: a perfectly ripened opossum killed two days ago by a car. .
to tell me your favorite picture and caption from the August links below. I'll report the winner tomorrow.